Tantrix has its very own search engine now! Enter your search term and press enter, or click on the yellow arrow to open the results page. Using the reviewer allows you to replay any game saved in the database since 1998. It's an easy way to replay and analyse your own games, as well as checking out the playing style of top players and your upcoming tournament opponents. The challenge is underway! Are you fluent in java? Then why not make it your goal to unseat the reigning Robot champion. Much of the work supporting this site is done on a volunteer basis. If you enjoy playing here, and would like to help with further development, then check out this list of ongoing projects. In Robot challenge games, the sequence of tiles is always the same, so you can plan the game based on perfect knowledge of what tiles will be available next. The Daily Match lobby is up and running. 3 new challenges every day! The puzzles are offered in sequence of increasing difficulty. The ranking of online players is calculated from a database of over 2 million games. New players begin to move up or down the national and world rankings every time they complete a game, depending on the rank of their opponent and the size of their win. The most eagerly anticipated events on the Tantrix calendar each year are online and table tournaments. Our thanks go to Steven Trezise of London, the first ever Tantrix world champion, who got the tournament system up and running back in 1998. Early editions of Tantrix (1987-1992) were made from cardboard. Since 1993 the tiles are made from a tactile vintage plastic. Over the years, Tantrix has won numerous awards around the world such as the British "Gold Award for Best Game" and the Hungarian "Toy of the Year Award". Tantrix Worldwide Where is Trouble? 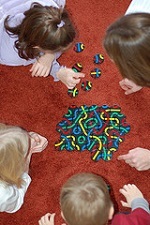 Tantrix can be played in many ways and most versions are available online. You may wish to solve a puzzle while racing against the clock, play a friend in a relaxed Cafe game, or try to beat the best Tantrix robot in the world. Apart from the competitive aspect of playing Tantrix, much of the enjoyment comes from the player culture. We are privileged that such a strong and likeable online community of players has developed. Find out more about who those players are. Player details Who plays most? To become a top Tantrix player requires skill and dedication. Several hundred players have earned the Master title over the years, but only 100 actively hold it at any point in time. A good way to improve your skills is to review and analyse past games. 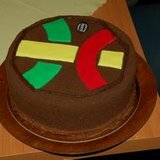 Find out more about the Tantrix community, who's famous, who's not, and who probably should be! Try solving a Tantrix puzzle right now, right here. The program will start you off easy, and with each completed step it will tell you how well you fared. Tantrix Discovery, Xtreme and Solitaire are sequenced puzzles, yet their rules are simple. Here are the complete instructions in 12 languages for playing them from 3 tiles and up. The "Unsolved Puzzles" have been around since 1993. For many years nobody came close to finding a perfect solution. We record the times taken to solve Tantrix puzzles online. This information is used to display average solution times of all available puzzles. Regardless of whether you solve a puzzle online or play the game, you will need to have Java installed on your machine. Tantrix is spreading. Find out which country has the most players per capita. Ever come across a Tantrix term and were not exaclty sure what it meant? This is the page to have your questions answererd. We would like to thank those people whose volunteer efforts make the Tantrix website and our community in general such a nice place. © Copyright 2019, Colour of Strategy Ltd, Pohara, New Zealand. All rights reserved.